﻿ Why Do You Need to Choose MVP Over MVC Android Architectural Pattern? 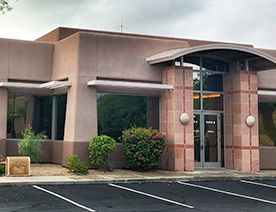 In the modern world of technology, an architectural pattern with an efficient decoupled system is recognized as a crucial virtue to any corporation. This is due to the fact that a decoupled system can lower the value of maintenance cost. It also helps android app developers to make instant modifications in the coding part without affecting the entire system. Further, the decoupled system promotes parallel development. It can divide work among different android developers, which will cut down the development time. Herein, we are going to explain the two most famous patterns of Android application architecture. They are called as MVC (Model – View – Controller) and MVP (Model – View – Pattern). Before figuring out which Architecture of Android pattern is the best, let’s have a look at some of the conditions as to why does an app needs a good architecture? What does an app get from an ideal architecture? And, the different types of architectural patterns. Why Does an Application Need a Good Architecture? 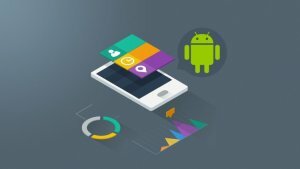 One of the simplest answers is that everything should be planned in a proper way, and this is something, which is bound to happen when it comes to Android app development. In this way, if you are going to work on any Android project, then it needs to be done by choosing an app architecture first. It creates the complexity to write the code for Unit Testing ( Unit Testing encourages developers to modify the source code). You might be unable to keep track of the logic, which is inside the class. It may be a chance that it could be difficult for any other Android developer to maintain and add the new features to your existing code. What Does an App Get from an Ideal Architecture? Simplicity: Architecture separates and defines a clear single role for every module in an Android application. Focus on Business Logic: An ideal architecture separates the code in such a manner where a developer can focus on business logic instead of another code improvement. Choosing an ideal architecture does not take much time in order to change the logic in the coding part (if it would require in the future). Also, an ideal architecture provides features like ‘easy to add’ and ‘remove’ in the coding part. Hence, it reduces the cost of maintenance. This is a default approach when it comes to architecting Android apps. And, the ‘Activity’ is responsible to process the data and updating the views. Activity act as a “Controller” in MVC model. However, there are some extra responsibilities as it should be part of the “View”. The Problem with the Standard Android: The problem is faced by the Standard Android is that both “Fragment” and “Activity” have become large in sizes, and they are quite difficult to test by Android developers. a) Presentation Layer includes how the application shows the data to the user. b) Domain Layer includes what are the core functions of the application? c) Data Layer includes how the data can be accessed? The Presentation layer sits as the outermost layer. The Domain layer sits in the middle layer. And, the Data Layer resides in the inner layer. The ViewModel recovers the data from the “Model” when it is requested from the “View” through Android data framework. With Data-binding MVVM pattern, both “Activities” & “Fragments” have become lightweight. Moreover, to write unit tests for Android developers also becomes easy because of the “ViewModels” which are coupled from the view. In this era, where the UI (User Interface) logic inclines to change more frequently than the business logic. Therefore, developers were finding out the way of separating user interface functionality. The Model: It is the data layer, which is responsible for managing the business logic and handling network or database API. The View: It is the User Interface (UI) layer. It is a way of representation of the data from the model. The Controller: It is the logic layer. It gets notify the user’s behavior and updates to the Model as required. A few years ago, Android developers started using MVC architectural pattern in the process of building the Android application. But the app was far from being robust due to using MVC pattern. 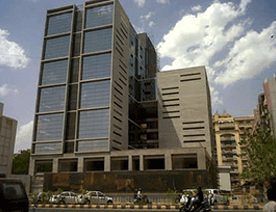 Robust was not only the hurdle faced by developers, but the code was not cleared. The continuous changes in the User Interface (UI). 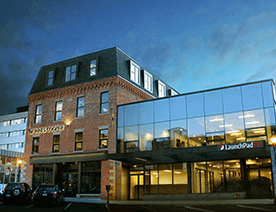 The lack of an architecture, which could provide flexibility as what developers needed. 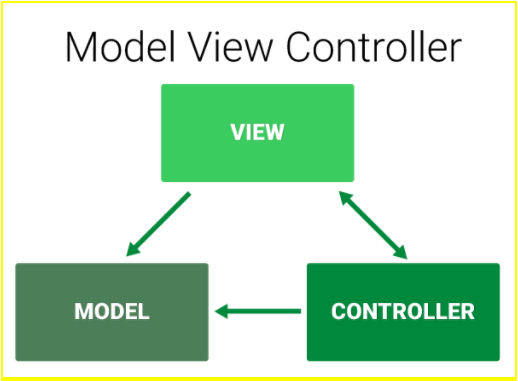 In MVC, both the ‘Controller’ and the ‘View’ depend on the ‘Model’. The ‘Controller’ updates the data, and the ‘View’ gets the data. – MVC makes the code more complicated for Android developers. – For developers, it is impossible to perform the unit test on their own. – What is the best architecture pattern for Android applications? – How can you apply that pattern in the most effective way? One thing that you need to understand is that there is not a single architecture that can fulfill the project’s needs. This is due to the fact that every design pattern is abstract, plus its implementation also depends on specific requirements. Therefore, Android developers can pick different architectures according to applications. Even though, in a complicated project, each module possesses its own structure. When it comes to choosing between those architecture patterns, MVP is strongly recommended in the Android application development. The definition is not always an interesting part, yet it is super important. Definition: MVP is a derivation of the MVC (Model View Controller example) architectural pattern. It is used for building user interfaces. In general, the MVP pattern allows separating the presentation layer from the logic. It means that everything from how the interface works to how it represents on the screen. MVP is a user interface architectural pattern, which eases automated unit testing and it is responsible to provide clean code. An MVP is a derivative from the known MVC. It represents the layer, which holds the business logic as well as controls how data is created, stored and modified. In Android, it is a data access layer, for example, database API or Remote server API. The Model consists of components that are responsible for functionalities like for generating, storing, exposing and fetching the data. All these functionalities usually perform in the background thread. Because, these functionalities could be time-consuming, and they can potentially block the main thread UI. It is a passive interface, which displays data, and the routes user actions to Presenter. In Android, the View is represented by Activity, Fragment or View. The View component contains a visual part of the application. The View contains the UI and it does not contain any logic or knowledge of the displayed data. The Presenter is in between Model and the View. And, it triggers the business logic, and lets to know ‘the View’ when to update. It recovers data received from the Model and shows it in the View. It interacts with the Model, then fetches and transforms the data from the Model to update the view. Numerous architectural patterns appeared, but MVP (Model View Presenter) can fulfill the complete requirements of Android developers. 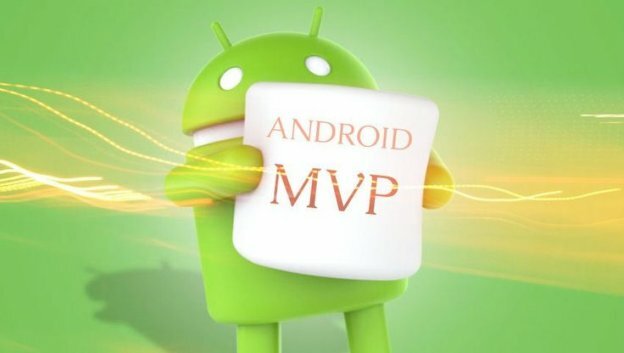 MVP is one of the patterns, which the Android community prefers at this time. In Android, the application should be easily extensible and maintainable. Therefore, in order to maintain the level, it is important to define separated layers well. And, MVP makes things easier for developers and it makes the views independent of the data source. However, in order to separate interface from the logic is not at all easy in Android. 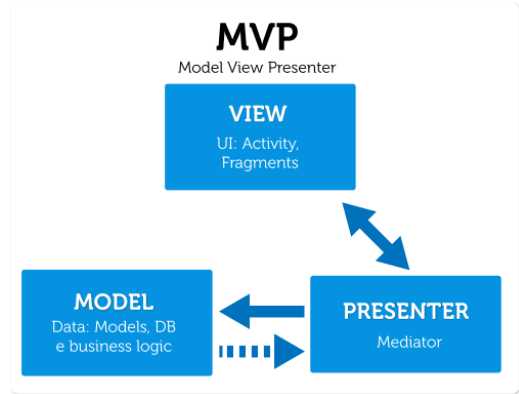 MVP (Model – View – Presenter) makes easier to avoid hurdles for android developers. In large android projects, it is pivotal to organize the code well. If it would not achieve, then it is impossible to maintain and extend. To close things up, MVP does a great job than MVC to breaking down your app in the modules. In an MVP, when you build an app, which is based on an Android framework, then there is no need to create the ‘View’ constantly. The objective of MVP is to make views reusable. As a conclusion, it is possible to say that MVP (Model – View – Presenter) is highly recommended for Android developers to build up an agile and scalable android application with minimal cost as compared to MVC. So which pattern is the best-suited for you? Share your thoughts with us. In case, if you have any query related to Android architectural explanation, design patterns in Android, Android architecture component, mobile app concept development, looking for an app developer or how to develop Android apps from scratch, get in touch with us through our contact us form. We will revert to you as soon as possible as we are one stop solution for custom Android development best practices. Our sales representative will revert to you as soon as possible. The consultation is absolutely free of cost. This page was last edited on March 29th, 2019, at 7:56. Hvantage Technologies Inc. USA – leading California based Web & Mobile App Development Company. 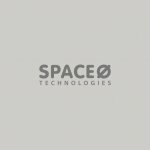 Our Application develoment Services offer a white glove approach to all things technical. You can custom tailor a package of services to fit your specific business needs and much more at affordable price all over the world. We have a very dedicated and hard working team of Mobile App developers, Web Development & Ecommerce solutions. Fast communication and quality delivery product is our commitment.